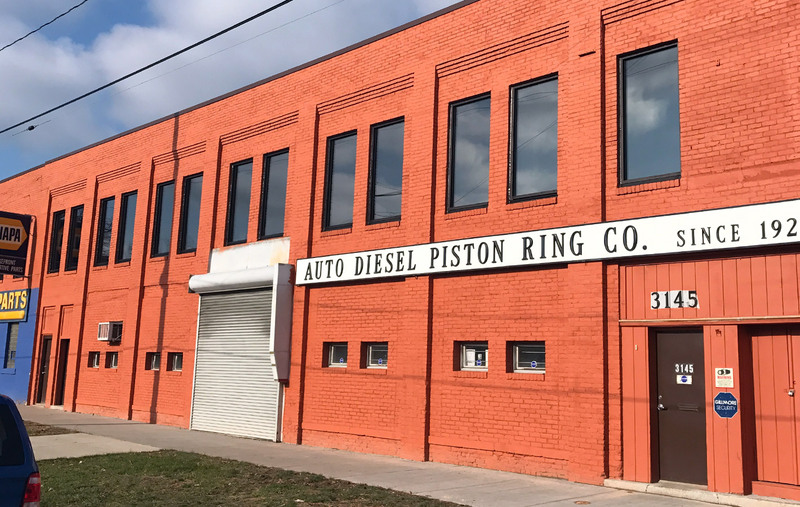 When Auto-Diesel Piston Ring Company was founded in 1921 in New Haven, Connecticut, the main objective was to manufacture parts for the automotive industry. In 1925 the Company was moved to Cleveland, Ohio by Rolland D. Smith. The company was incorporated in Ohio in 1941 with Albert Sawyer serving as its first President, and Rolland Smith as General Manager. In the 1940’s, the Auto-Diesel Piston Ring manufacturing company was primarily involved in the automotive parts industry, as well as providing piston rings and gaskets needed during World War II for ships, tanks and steam locomotives required in the war effort. During the War, Auto-Diesel operated three shifts around-the-clock as a defense contractor. But times changed and so did the Auto-Diesel Piston Ring manufacturing company product line. Today, more than seventy years later, Auto-Diesel Piston Ring manufacturing company specializes in piston rings and seals for industrial uses such as hydraulic and pneumatic applications, compressors and stainless steel plunger rings for the die casting industry. Stainless steel plunger rings were developed to protect the plunger tips on zinc die casting machines. Auto-Diesel has been serving this industry for more than 70 years. In 2015 the company was sold to Bob Lee and a group of local Cleveland individuals with over 100 years of manufacturing experience. We are committed to providing quality precision products at a reasonable price and exemplary customer service. The company is transitioning its name to AD Piston Ring LLC. to pay homage to the past and recognizing that its customer base is more industrial. We are investing capital in the manufacturing area with new machinery in the factory, additional testing equipment for quality control and training for our most important asset, our people. AD Piston Ring, LLC manufactures cast iron rings from 1″ to 30″, bronze piston rings and stainless steel plunger rings from 3/4″ to 7″. All cast iron rings are manufactured-to-order to our customer’s specifications. The most popular sizes of stainless steel piston rings and seals are stocked for immediate delivery. SERVICE and QUALITY are two of our main objectives. All piston rings are manufactured with precision to meet industry standards.